Homelessness in the UK continues to rise. Conservative estimates suggest the ‘rough sleeping’ has risen by at least 20% across the country since last year. Rising unemployment, lack of social support and broken relationships have all contributed to this complex and growing problem. 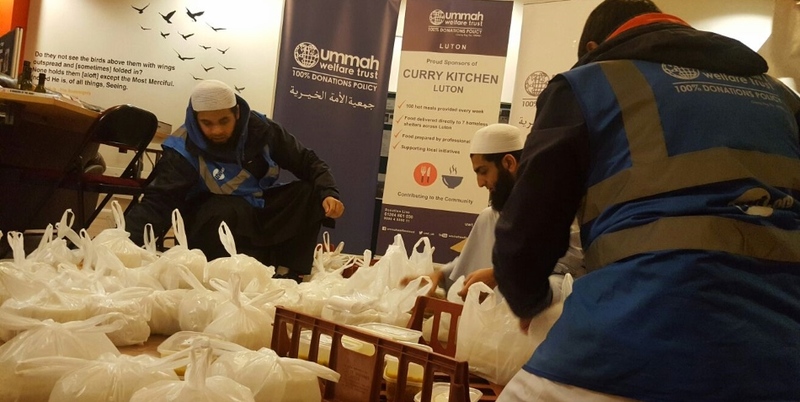 To ease their difficulties, Ummah Welfare Trust is supporting homeless outreach programmes in Birmingham and Slough with hot meals every week. Hundreds of residents each week are given cooked meals. The charity is also supporting Zakah-distribution programmes to tackle growing poverty in the UK’s Muslim community. You can support relief efforts in the UK, and maintain the dignity of our neighbours, by donating your Zakah, Sadaqah and Lillah today. has been allocated to UK programmes for 2018.